We haven't been to some fancy doctor school, but we've been lead to believe that blood is one of the most basic things present in every human body. And we're not one of those highfalutin forensic investigators, either. But if anybody gets picked off by a vampire, a werewolf, or a fluffy flesh-eating bunny, we expect to find a lot of the red stuff all over that creature's terrible mug long after the deed is done. 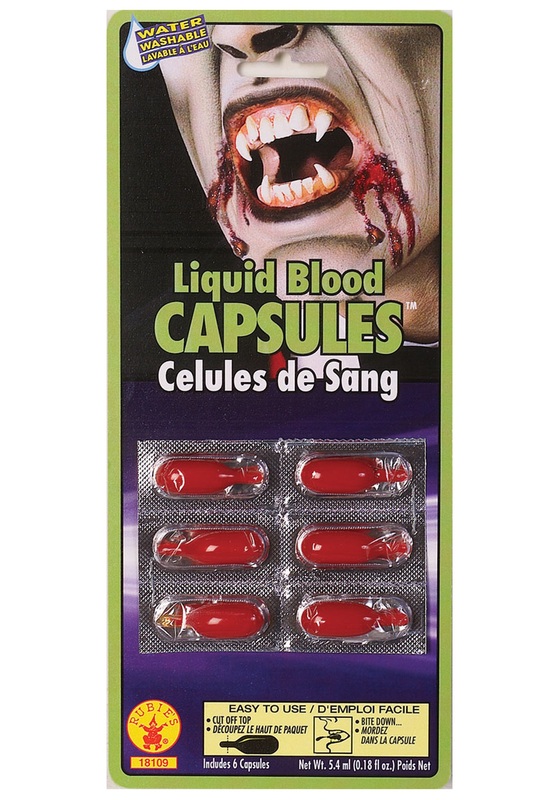 Maybe you think you can do better than these Blood Capsules. Well, we were like you, once. We'll just use ketchup or something, we said. Now those words bring up some very ugly memories. And here we are, peddling Blood Capsules like anybody else. Take heed of our mistakes! 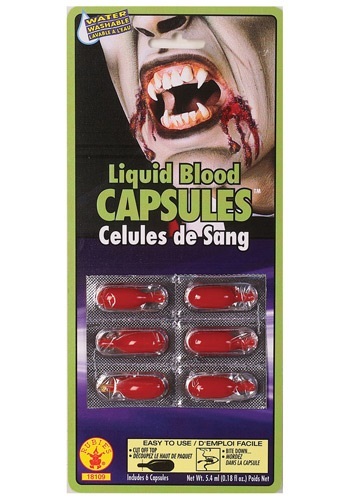 Because using Blood Capsules may be one of the oldest tricks in the book, but not without good reason. It's easy, it's cheap, and it's a practically universal way of saying that had to hurt!